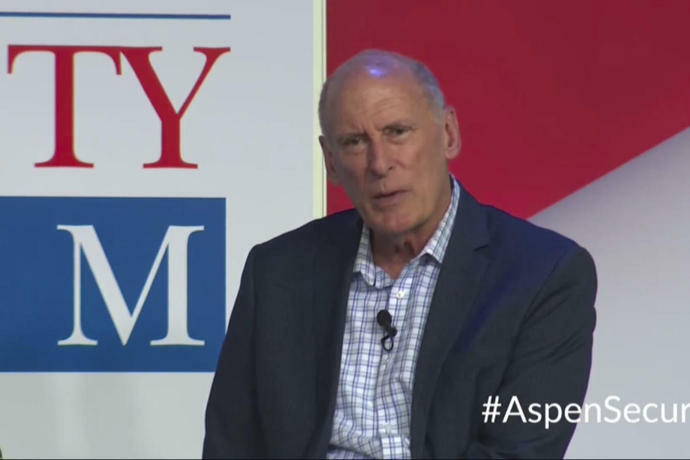 BRIDGEWATER, N.J. (AP) -- The top U.S. intelligence official said Saturday he meant no disrespect to President Donald Trump in a televised interview discussing the summit with Russian President Vladimir Putin. Trump's public doubting of Russia's culpability for interference in 2016 - though he later tried to "clarify" his remarks a day later - sparked bipartisan condemnation in Washington and sparked congressional lawmakers to look once again for ways to tighten sanctions on the longtime U.S. foe. Associated Press writer Deb Riechmann contributed from Aspen, Colorado.